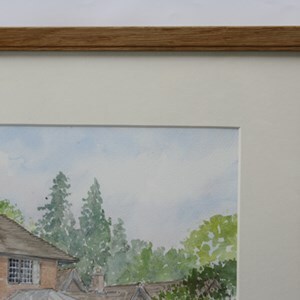 Bockingford 140lb, acid free, watercolour paper in 1/2 imperial size is usually the preferred choice for the watercolours. 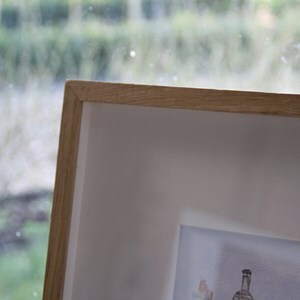 Occasionally, larger paper will be used when needed - for example for a long, thin composition. 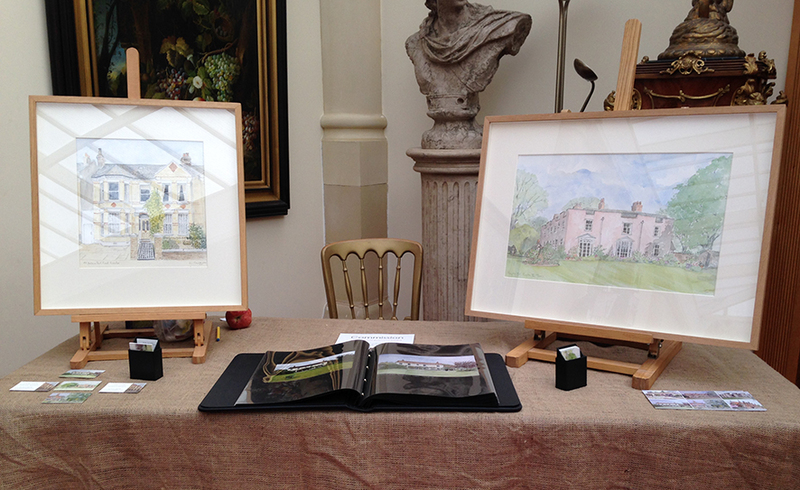 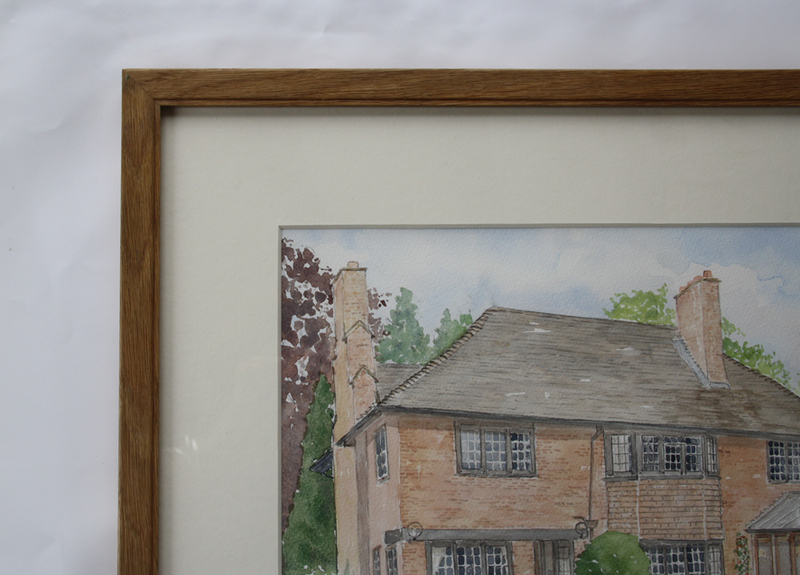 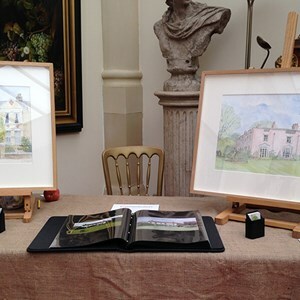 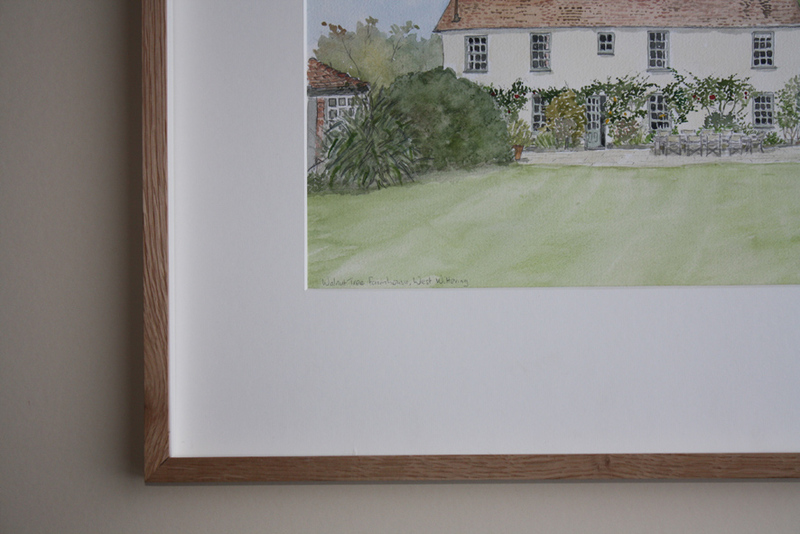 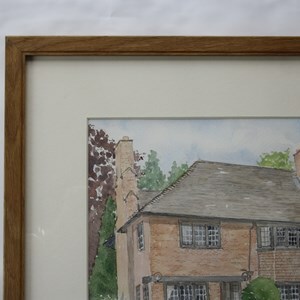 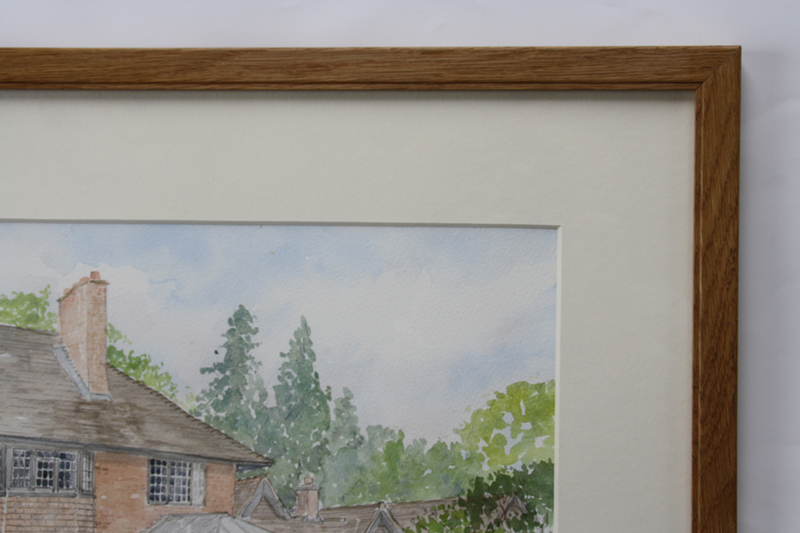 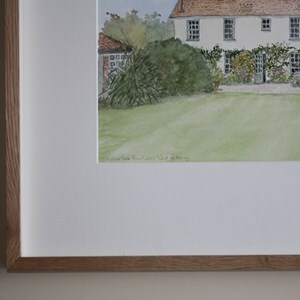 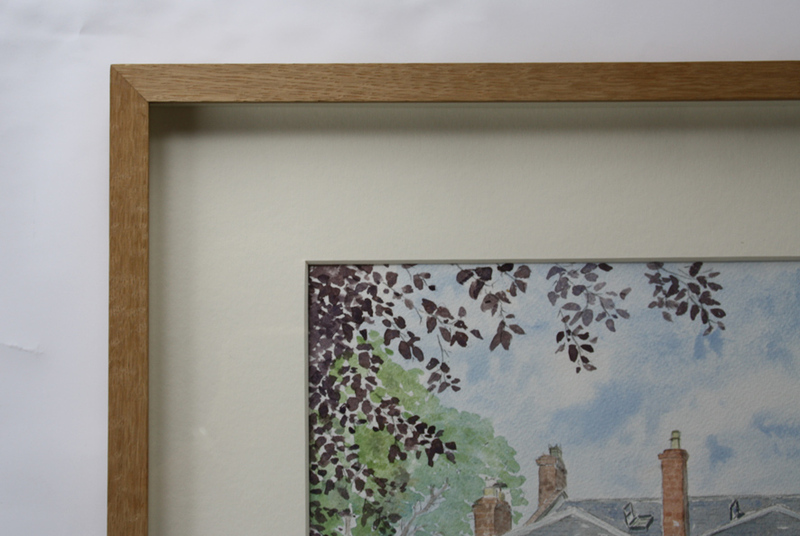 Depending on the composition, the finished framed watercolour measures approximately 60 x 50 cm. 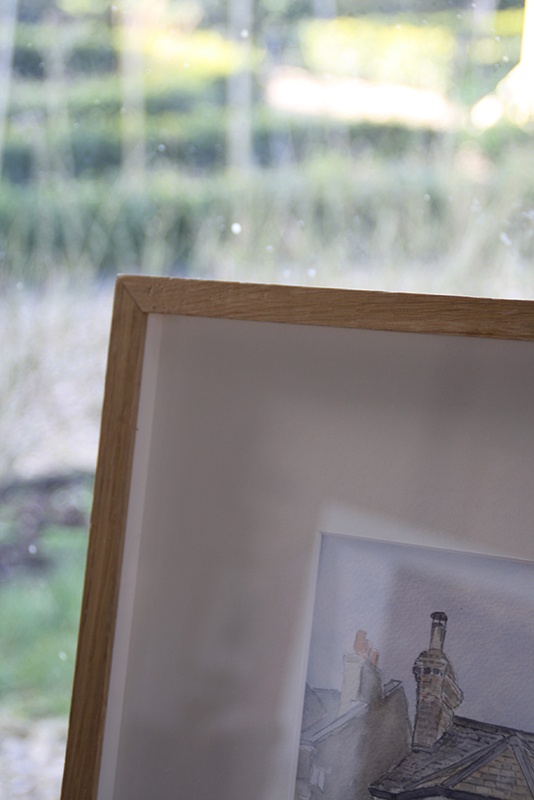 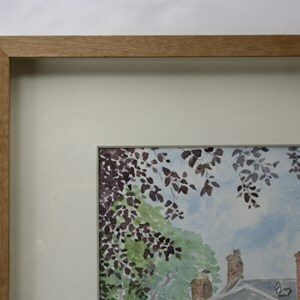 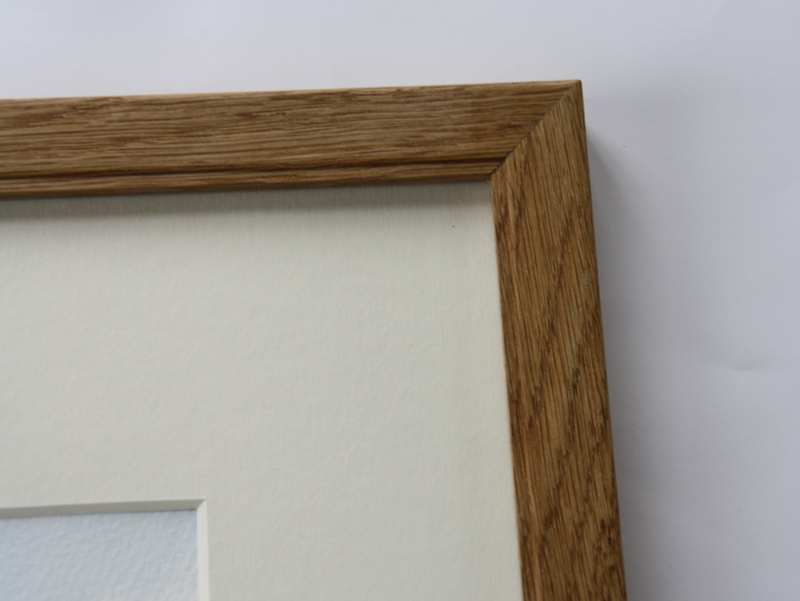 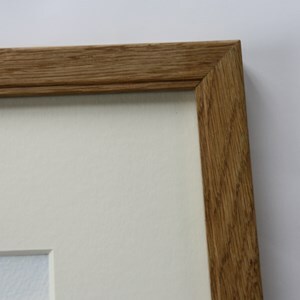 With this more contemporary style frame, the oak frame is plain and the glass is separated from touching the mount by a slip.